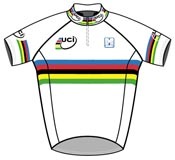 It's the race for the rainbow jersey, one of the most beautiful prizes in cycling. The annual World Road Championships are presented by the Union Cycliste International (UCI) organized each year in a host country by national and regional cycling committees. The world's youngest amateur and eldest professional UCI cyclists race with their national team federations with rainbow-band gold, silver and bronze medals for the top three cyclists in each historic event. Official times are measured in sexigesimal units of hours: minutes: seconds. When necessary, with decimal units of split seconds. These are shown in digital form, 00:00:00.000. That's thousands of a second. 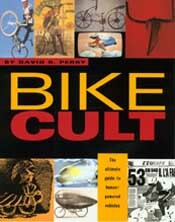 In road races, the same time refers to time of lead rider in finishing group. Separate times are given if there is a gap of more than one second in groups of finishers. at 48 kph 2. ? 3. ? at 52 kph 2. ? 3. ?